Unfortunately we have just been informed that the person behind Systematic Betting is no longer able to continue providing the service. We understand this is for personal reasons. It is a shame as it looked like quite a promising service, but sometimes these things happen and we wish the person behind it all the best. So this trial will accordingly be discontinued and no further updates provided. Today we are commencing a trial of a new horse racing betting system from the reputable Pro Betting Club stable. The system in question is called Systematic Racing and it uses a quantitative approach using statistics and mathematical models to identify selections. 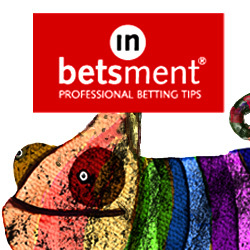 It is a high volume service with around 6 bets per day on average. The results to date look pretty impressive, with 284 points profit made since the service started in April 2016. Seven of the ten months so far have been profitable, which is good to see. The strike rate is 12% with the average winning odds of 7/1, so this seems to be a service for the patient investor and a 150 point bank is recommended accordingly. The good news is that the Pro Betting Club are offering a 2 week trial of Systematic Racing for just £1, so you can see if the service is for you before committing to a longer subscription. We will run a standard three month trial and will report back soon on how things are going. In the meantime, you can check out Systematic Racing here.